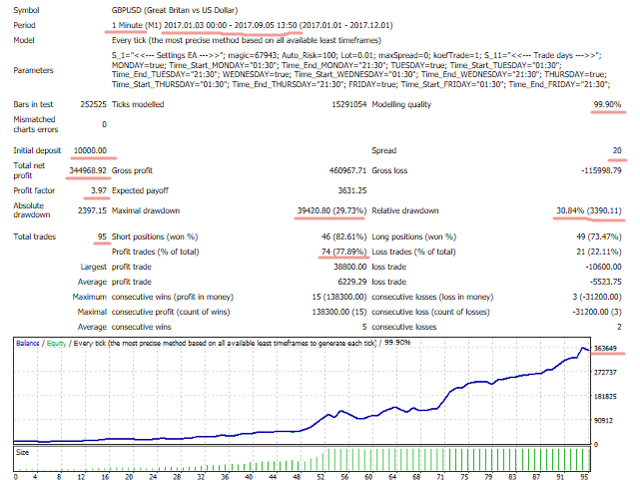 This automatic Expert Advisor does not use indicators, as well as high-risk strategies: martingale, grid, averaging. Each order is automatically protected by a tight stop loss. Orders are closed by stop loss only. Take profit is absent. The EA constantly monitors the market situation. Whenever a high volatility or an impulse movement occurs, it opens an order in the direction of movement. The EA is able to work on any timeframe, but M1 is recommended. During testing, it shows good results in the following currency pairs: USDJPY, USDCAD, GBPUSD, GBPNZD, GBPJPY, GBPCHF, GBPCAD, GBPAUD, EURUSD, EURJPY, AUDUSD. 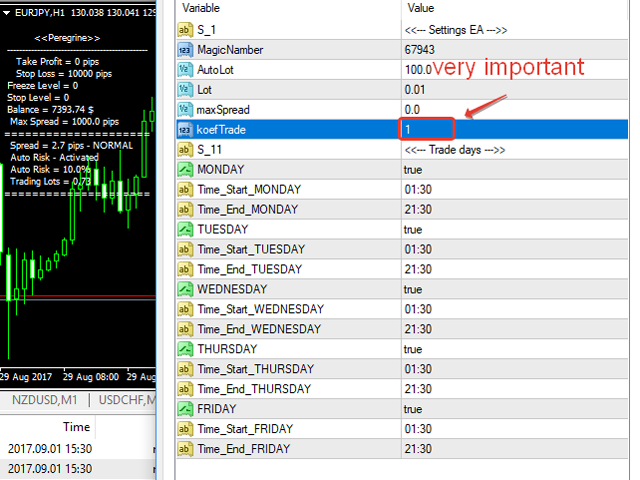 It is important to use this EA on a broker with quick execution of orders and a small spread. Use VPS provided by broker or by MQL to minimize the delay from the EA to the broker's server. The Expert Advisor can be used on any account types, with four or five decimal places. It can also trade metals and oil. A large spread will significantly reduce profits. Before buying, test the advisor on your broker. I will answer all your questions. Does not use: martingale, grid, averaging, and other risky strategies. Trading is performed using one order with a tight stop loss. Deposit: $50 or and higher. Timeframe: any, M1 is recommended. MagicNumber - the unique magic number of the EA. AutoLot - automatic calculation of the lot based on the size of the deposit, in percent. 0 - disabled. Lot - fixed order volume. maxSpread - maximum allowable spread (specified in old points for four-digit quotes). 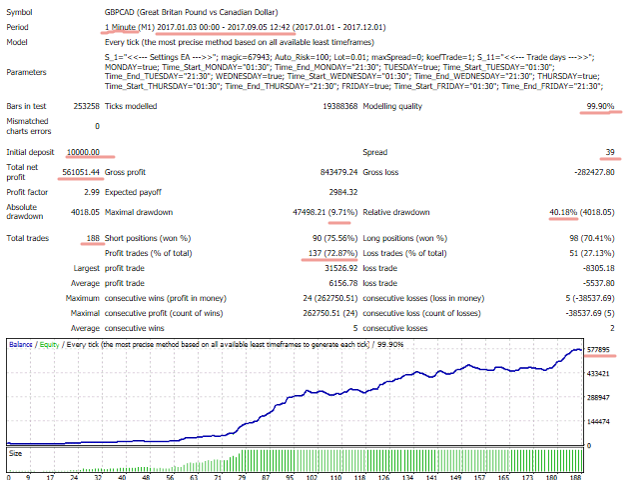 powerTrade - trading activity coefficient from 1 to 20. The higher the coefficient, the more trades and the worse the quality of trading. Recommended value - 1. MONDAY - enable/disable trading on Monday. Time_Start_MONDAY - trading start time on Monday. Time_End_MONDAY - trading end time on Monday. TUESDAY - enable/disable trading on Tuesday. Time_Start_TUESDAY - trading start time on Tuesday. Time_End_TUESDAY - trading end time on Tuesday. WEDNESDAY - enable/disable trading on Wednesday. Time_Start_WEDNESDAY - trading start time on Wednesday. Time_End_WEDNESDAY - trading end time on Wednesday. THURSDAY - enable/disable trading on Thursday. Time_Start_THURSDAY - trading start time on Thursday. Time_End_THURSDAY - trading end time on Thursday. FRIDAY - enable/disable trading on Friday. Time_Start_FRIDAY - trading start time on Friday. Time_End_FRIDAY - trading end time on Friday.